About Us - Be Assured. We are Fully Certified, Insured and Bonded. Pro Duct Cleaning is proud to provide you with the highest quality kitchen vent hood / kitchen exhaust cleaning. Our service area includes DFW area in Texas. Our goal is to provide our customers with peace of mind by providing the most thorough and complete kitchen vent hood / kitchen exhaust system cleaning available. Matched with our superior customer service, we not only provide fire protection, but also increased functionality while extending the life of your kitchen exhaust system. Our company is fully insured with General Liability Protection. Our company provides Worker's Compensation for our employees who services your kitchen exhaust system. Our company is bonded which protects your assets in the event of losses. Our company is a certified company. This means that our company and crew leaders will perform, supervise or inspect the cleaning process to make sure that the procedure is by the National Fire Protection Association Standards, NFPA 96, Standard for Ventilation Control and Fire Protection of Commercial Cooking Operations when cleaning your kitchen exhaust system. We guarantee our service. If our cleaning does not pass inspection when you follow our suggested recommendations, we will perform the cleaning until it does, free of charge! 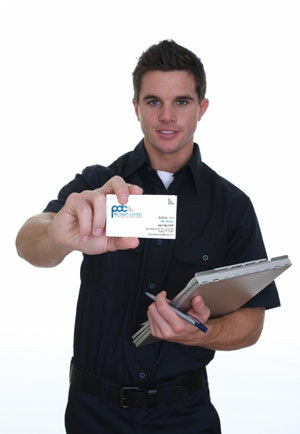 We are a Phil Ackland certified company. This means that our company and our crew leaders receive training and understand their responsibility to kitchen fire safety and fire protection. NFPA 96 requires that vent cleaning companies and crew leaders be trained, qualified and certified. This fire code is imperative to improving kitchen fire safety. We are a member of the Power Washers of North America (PWNA) and Kitchen Exhaust Cleaning Association (IKECA), a high industry standard for power washer and kitchen exhaust cleaners. For a free quote over the phone, call us at (469) 744-3727. Be ready with your current kitchen vent hood system information; number of hoods, size of the vent hoods, number of filters, number of access panels if any and when the system was professionally cleaned and serviced. Please note that because every system and condition of the vent hood is different, the quote given will be an approximate quote, usually in range. We give free written estimate. Please call us to schedule a free Vent Hood System Inspection and Evaluation. Upon inspection, we will provide a written proposal for a regular maintenance cleaning for your vent hood system. Our company is located near Interstate 35 and Interstate 635 at Walnut Hill Lane Exit. Please utilize driving direction tool and interactive map, so you will find direction from wherever you are.